Over 3 weeks, contributor gaetanpiolot traveled across the Alps, in France, Italy, Switzerland, Austria, and Germany. His drone video presents the amazing landscapes he discovered on his journey. He shot beautiful Alpine lakes and mountains in 4K using an iPhone X and DJI Mavic Pro. 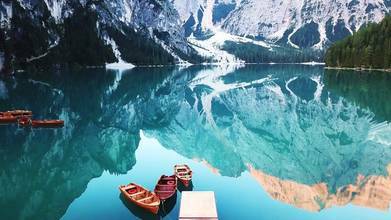 The locations he shot include: Lago di Braies, Lago di Sorapis, Seceda, Lago di Resia, Seiser Alm, Dolomites, Riffelsee, Bachalpsee, and Tre Cime di Lavaredo.